On Tuesday 15th October, whilst Bosnia and Herzegovina finally unified a nation (albeit briefly) by qualifying for the World Cup, as Mexicans uncharacteristically saluted American professionalism in Panama to prolong their hitherto painful World Cup campaign, and hours before England praised their latest five-minute-hero-destined-for-villainy Andros Townsend, the football world habitually turned its back on post-Soviet Central Asia. In this regard, football encapsulates a popular perception of the region as somewhat mirage-like; a mere spatial vacuum connecting previous empires; from Russia to the north, British India in the south and China as a rather bulky outside right. 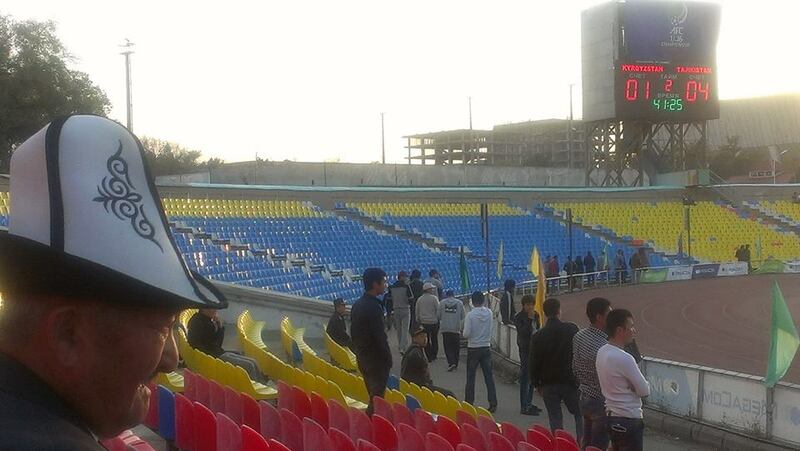 To be fair, last Tuesday’s friendly match between Kyrgyzstan and Tajikistan was not a Great Game. Ever since the inauguration of the Soviet Top League (Vyyshaya Liga) in 1936, the Soviet Union’s annual platform showcasing its finest sides across its constituent republic, the Kirghiz Soviet Socialist Republic (KSSR) was only one of two republics never to have been represented, the other being the Turkmen SSR. FC Alga Bishkek (founded as FC Zenit Frunze) were considered, as such, the unofficial symbol of Kyrgyz football, and became the pride of the KSSR as they reached the subpeak of third place in the Soviet First League (second tier) in 1967. However, these halcyon days ended with relegation in 1979 and Alga were never to return. Kyrgyzstan, a fledgling state – abandoned after the collapse of the USSR – inherited a bad hand in the post-Soviet resource distribution process. As such, previously shared resources became the sole currencies of independent states; Kyrgyzstan was left with livestock and water. Neighbouring oil and gas rich Kazakhstan and Uzbekistan, meanwhile, have confidently made relatively great leaps forward over the past few years on-the-field, while Kyrgyzstan still play their home matches on weekdays at 4pm, in order to avoid a floodlight charge. Kyrgyzstan’s footballing trajectory, like its territory, has been uneven with barriers as copious as their spontaneous checkpoints about which its few visitors oft regale like prison escapees. And, as half-time approached on Tuesday; 4-0 down with an on-field riot voraciously spreading into the stands prompting the multilingual public announcer to demand that fans calm down, it became clear that Kyrgyzstan, familiar with forced removal of political power, requires their own footballing revolution, or risks remaining one of football’s forgotten federations. Tuesday’s match against their mountainous neighbours was billed as preparation for Kyrgyzstan’s Asian Football Confederation (AFC) Challenge Cup campaign, due to take place this March in the hardship post of the Maldives, a welcome retreat from Bishkek’s elongated winters. The AFC Challenge Cup, a shelter tournament of sorts for neglected football federations – the lowest caste labelled by the AFC as emerging associations – have Kyrgyzstan standing patiently in line on the bottom tier alongside Afghanistan, Sri Lanka, Palestine, and Chinese Taipei, to name a few. Even more uncomfortable for Kyrgyzstan is the presence of fellow post-Soviet Central Asian states Turkmenistan and Tajikistan peering down from a category above, developing associations, whilst Uzbekistan soars high as an AFC-recognised developed association. Unsurprisingly, this footballing stratum is hierarchically consistent with the countries’ Gross Domestic Product (GDP) at Purchasing Power Parity (PPP) taken from 2011. In the Challenge Cup’s inaugural tournament in densely-populated Bangladesh, Kyrgyzstan achieved its finest football moment to date, with a third place finish in 2006 edging out fellow landlockees Nepal. 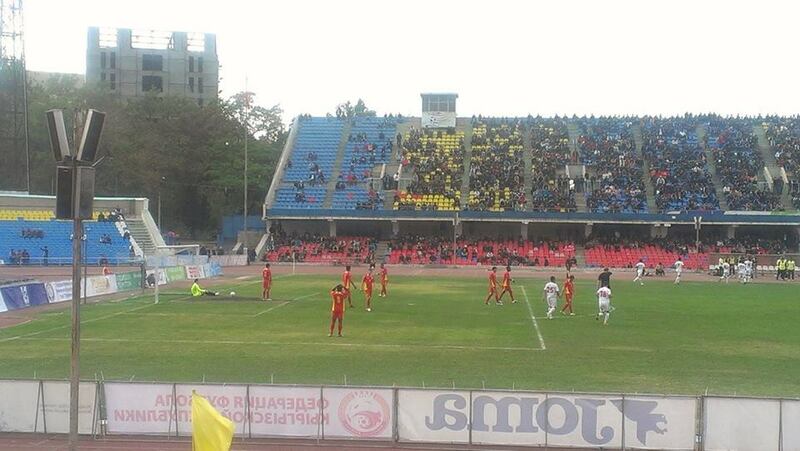 Few spectators at half-time in Bishkek’s uniformly Soviet Spartak Stadium would have considered Kyrgyzstan’s participation in the AFC Challenge Cup to have resulted from success in the same fixture seven months previous, in doing so denying their southern neighbours the trip to the Indian Ocean. In this regard, the final 4-1 defeat was opportunistically framed in the locals press as revenge. However, the quality of Kyrgyzstan’s defending – and goalkeeper whose worsening allergy to leather in the first half induced his non-appearance in the second – made some question the nature of the contest from the start, whether from Kyrgyzstan’s lack of ability and/or effort. 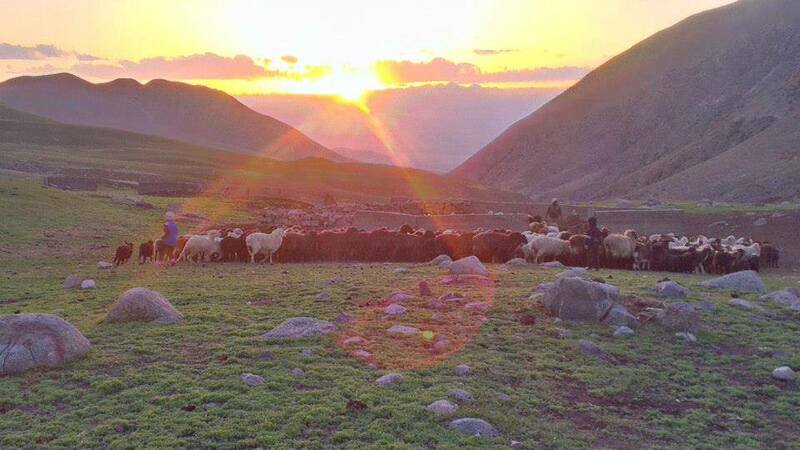 Such generosity to their Tajik guests came as Kyrgyzstan celebrated the second day of Eid al-Adha (“festival of the sacrifice”) with 86.3% of the population followers of the Sunni strand of Islam. The population of Tajikistan, meanwhile, is also predominantly Muslim with approximately 95% Sunni and 3% Shia. Festive hospitality characterized Kyrgyzstan’s first half performance as Valeriy Kichin, Kyrgyzstan’s highest-profile player currently on loan at FC Khimik Dzerzhinsk from FC Volga Nizhny Novgorod, attempted to beat his man whilst at sweeper with Tajikistan’s second goal the painfully avoidable outcome. The religious holiday – and perhaps, the free entry policy – produced an acceptable crowd of 8000 with the Kyrgyz traditional hat, the kalpak, in abundance and adding nomadic Kyrgyz flavor to what was a bitter first half for the locals to palate. Racing into a four-goal lead, the crowd purported good humour – a trait often displayed by the long suffering – with gags starting in Kyrgyz and ending in the more expressive Russian, an odd mix which appears less so over a short while. Ahletdin Israilov’s goal for Kyrgyzstan at the start of the second half appeared to satisfy the crowd, who thereafter lapsed immediately into their seats, as the police, who occupied the front rows around the stadium, enjoyed the autumnal sun and another leisurely shift. Spartak Stadium, Bishkek (photo by Martin Camis, 2013). After the game, Kyrgyzstan’s Moscow-born coach Sergei Dvoryankov complained of “schoolboy defending”, while making reference to the absence of Daniel Tagoe, the robust Ghanaian prince, who followed his compatriot David Tette – the first West African-born player to represent the small landlocked Central Asian state (for more information, read Futbolgrad’s David Tette and the Asian Challenge Cup). This was despite Tagoe having only played once for the Kyrgyz in the 3-0 win over Kuwait several days earlier, a game that did not count towards the FIFA ratings since he has yet to be naturalized. Nevertheless, Dvoryankov had already deemed his latest recruit irreplaceable: “With someone of his power and athleticism, I think it could have made a difference,” the head coach said almost convincingly. It is noteworthy the dominance of Russians in Kyrgyzstan’s starting eleven considering ethnic Kyrgyz represent approximately 70% of population; Russians a contracting ethnic group who make up only 9% of the population having represented 29.2% of the then Kirghiz Soviet Socialist Republic (KSSR) in 1970 and 21.5% in 1989. At the pre-match press conference, which was also used to showcase the release of Kyrgyzstan’s latest football jerseys, Moscow-born Dvoryankov was articulate in feeding a few crumbs as from where Kyrgyzstan’s latest recruits are flying in; one, he confirmed, to the excitement of the five journalists in the room, is coming from Latvia. Football associations today, it seems, resemble a blend of HR recruitment agents and creative genealogical sleuths, their jobs to discover the best eligible players irrespective of how tenuous a link the player has with the country, if indeed any at all. For Kyrgyzstan, its players unable to swap jerseys after a high-profile friendly with Moldova in Chisinau earlier this year, such severe financial restrictions cannot be underestimated in a small, fractured and poorly accessible country. In addition, with the notion of nationality in today’s game appearing less static and more opaque than a decade or so ago – and while poker-faced England attempt to lay claim to Brussels-born Adnan Januzaj of Kosovar-Albanian parentage – Kyrgyzstan, who are not alone in facing this particular quandary, risk the long-term development of their native players for the short-term goals of reaching the heights of mediocrity and emerging from football’s clutch of forgotten federations.